Ohio patients are being shortchanged of their 90-day medical marijuana supply. There have been numerous complaints regarding the Ohio Pharmacy Board Website reports on Ohiomedicalmarijuanaregistry.com of Ohio patient's 90-day supply as reported. Before diving into that issue, here is the history and a look at the Ohio Administrative Rules that govern the Medical Marijuana Control Program 90 day supply. Two Years ago, in March of 2017, several Ohio Patients Network (OPN) board members and patients from around Ohio had a meeting with the Ohio Pharmacy Board to discuss the proposed rules regarding Medical Marijuana forms (oil, dry herb etc), flavor additives, labelling requirements, other items and the 90-day supply. At that meeting, the 90-day supply was proposed by the Pharmacy board to be six ounces for Tier I medical Marijuana. Tier I medical Marijuana has a THC content of twenty-three percent or less. OPN presented a review other medical marijuana states 90-day (or their equivalent to 90 days) supply limit, we also included the Federal Government supply for the remaining US Government’s IND Federal Patients. The average was a bit over 13 ounces with the Federal Government a little under 21.5 ounces. OPN suggested 12 ounces. At the end of the March 2017 meeting, we came away with the understanding that the proposed 6 ounces would be increased to 9 ounces. The 9 ounces limit is deduced from the following Ohio Administrative Code. 3796:8-2-04 Quantity of medical marijuana that may be purchased by a patient or caregiver. Ninety days times 1/10 a whole day is simply 9 ounces. Today’s confusion arises from the commercial implementation of the rules and 3796:8-2-04-B(1)a that also defines a 90 day supply of 8 ounces versus 9 in 3796:8-2-04-A(1). To compound the confusion the Medical Marijuana patients are buying in increments defined as 1/10 ounce (2.83 grams) but counts a days supply as 0.088 oz (2.268 grams/day) per Rule B.. The issue of rounding up due to the Pharmacy Board's integer based software. It vastly inflates what a person has actually purchased. For example, the integer based bookkeeping divides the packet weight Rule A by Rule B (i.e. 0.1/0.088=1.12) and then their software system rounds it up to 2 units purchased as shown on the Ohiomedicalmarijuanaregistry.com patient website. Another issue is the concept of the one-day supply coupled with a policy of “USE IT OR LOSE IT”. For example, if you bought a 10-day supply and waited to 20 days to make your next purchase you can lose 10 days of your ability to buy the rest of the 90-day supply. Currently OPN is not aware of the Pharmacy’s rule administrative origins of the “USE IT OR LOSE IT” policy. If you buy X day supplies and the website say you bought X+, save all your receipts and screenshots of the Ohiomedicalmarijuanaregistry.com. then call the Pharmacy board at 614-705-1189, but not the Helpline. This is not a Helpline issue, this is a Pharmacy board issue. Be aware of the effect of buying in small units see the chart (link below) from the Pharmacy board in how they are calculating a day supply. For example, if you buy a single 1/10 ounce packet you have are booked as having 2, even worse if you buy 1 a day you will run out of 90-day supply on the 45th and not permitted to buy anymore till the next 90 day period. Thus cutting your overall limit in almost half. Buying one of each strain will count as 2 units per strain. Watch for a change initiated by the Pharmacy board on the Administrative rules regarding Chapter 3796:8-2 Form of Doses, OPN strongly suspects that a Common Sense Initiative (CSI) hearing will be scheduled to amend the rules to end the confusion. There is a public hearing portion of any changes to the program rules. OPN will participate, and we encourage you to as well. The Ohio Medical Marijuana Control Program has numerous start-up issues and bugs that need to be improved and corrected. Ohio Patients need to speak up, make personal visits to their legislatures, go to hearings like the CSI, write letters to your State Representative and for newspaper's "Letters to the Editor". We, Ohio Patient Network, will do what we can, but frankly, we can not fix it alone. 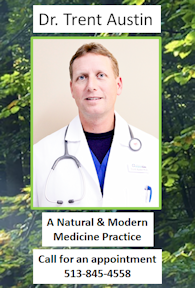 This article has a link at the bootom of the article to the current list of Physicians (MDs & DOs) that can make State Certified Medical Marijuana Recommendations for use in Ohio Dispensaries. The link to the list is at the very bottom of this article and the list is sorted by zip code so it can help you find a MMJ Doc nearby. The list has their main street address, their speciality, if the are Board Certified in a specialty and how long they have been licensed in Ohio. Note some physicians have multiple addresses. But, first here is a bit of information. Recently on December 20th Ohio Patient Network submitted a formal petition to the Ohio Medical Board. The Petition is to add Opioid Use Disorder / Opiate Addiction to Ohio’s Medical Marijuana qualifying condition list. The Medical Board petition requirements were pretty rigorous, and OPN has been gathering the supporting data for the last year. OPN submitted a very detailed petition with extensive amount of information covering about 60+ pages of information, peer reviewed journal reports, patient surveys, physicians letters of support etc etc. We feel confident that the review board will accept our petition recommendation and add opiate addiction as a qualifying condition here in Ohio. We also had documented support of the Ohio Medical Board’s previous President. OPN has also offered our information to other states that passed Medical Marijuana laws with restricted list of conditions we gathered during our effort. OPN will also assists as needed in their efforts to add Opioid Use Disorder / Opiate Addiction as a qualifying condition to their state. This effort is due to the numerous patients we have heard from over the years, that they more cannabis they have the less narcotics they need and the more functional they are in their families and in their lives. But the biggest concern in Ohio is about MMJ patients and driving. Ohio OVI laws absolutely need to be changed. No MMJ patient would drive legally according to Ohio Under the Influence per se laws. For the record we have published numerous informational pamphlets and printed thousands of copies, answered hundreds of phone calls and emails from patients and physicians, pushed the Medical Board to inform all Ohio Physicians that Medical Marijuana is Schedule II in Ohio (which is very important for Pain Clinic patient contracts), attended every Medical Marijuana Advisory Board meeting, and have made numerous presentations at various civic/political organizations, city councils and colleges. A statewide organization of patients had been a long-term dream of many medicinal cannabis activists in Ohio. The Ohio Patient Network began to officially solidify after the Ohio Medical Marijuana Educational Conference was held at Ohio State University in January 2001. Shortly after that conference, a group of patients, caregivers, and activists from all over Ohio got together on the Internet to discuss strategies to legalize medical marijuana in Ohio. From that meeting, the Ohio Patient Network (OPN) was officially born. We incorporated and applied were acknowledged our non profit status by Ohio and the Federal Governments and have been busy ever since then. Now with all modesty and truthfulness, OPN must brag a little bit. We have been involved in almost every medical marijuana legislative and ballot effort to date here in Ohio. When the legislature finally decided to pass Medical Marijuana in 2016; OPN's Executive Director testified more than anyone else in the state, was asked more questions by the legislators than anyone else, participated in more meetings with the Medical and Pharmacy Board than anyone else and attempted to improve as many of the rules as possible after the law was passed in June 2016. In September 2016 we developed and published the Affirmative Defense Recommendation form used to obtain some legal protection and medical marijuana from other states (per the law in HB523). But, now is the time for patients in Ohio to obtain a State Certified Recommendations for Medical Marijuana. I know you probably get numerous request for donations, but as you can see for yourself from the above; OPN has been very active, effective and has much more to do. We are also very frugal with our spending, so we hope you can support us as we go into the next year. You can even support us when shopping at Kroger or Amazon Please see the various ways you can help with a donation as listed below the signature. 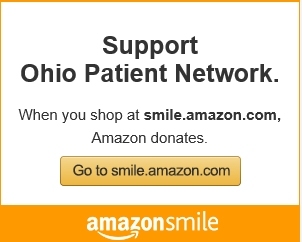 Below are links to PayPal which will direct you to the list of Doctors even if you do not choose to make a donation to OPN by selecting the "Cancel and return to Ohio Patient Network" link. Ohio Patient Network (OPN) raises a number of issues that need to be addressed in the coming legislative session regarding Ohio’s Medical Marijuana Control Program. Given that approximately 2,000 Medical Marijuana “Cards” have been issued..
What is the status of Reciprocity with other states, in particular Michigan, Pennsylvania and West Virginia? What instruction has law enforcement received for interacting with card holding patients with marijuana from out of state source? Given that patients are required to have a face to face in person visit with a physician to obtain a recommendation..
How is a caregiver to help a bedridden patient obtain a Medical Marijuana Recommendation? OPN suggests the Medical Marijuana Advisory Board formally recommend a change in the law to the State Legislature regarding in person visit for extenuating circumstances. OPN also suggests the Medical Marijuana Advisory Board formally recommend a temporary emergency rule change to the Ohio Medical Board covering this situation. No patients would pass the legal limit for driving an automobile. OPN suggests the Medical Marijuana Advisory Board formally recommend a change to the State Legislature to the OVI laws. OPN suggests the Medical Marijuana Advisory Board formally recommend to the State Legislature perform a thorough review of marijuana’s effect on driving as compared to other medications. Note OPN personnel have provided prior legislative testimony and information regarding marijuana driving issues prior to HB523 and are willing to assist state representatives formulate revisions to the OVI laws. Hospice nurses licenses are not protected while caring for patients. OPN suggests the Medical Marijuana Advisory Board formally recommend a change to the State Legislature to protect nursing license when acting as a caregiver. 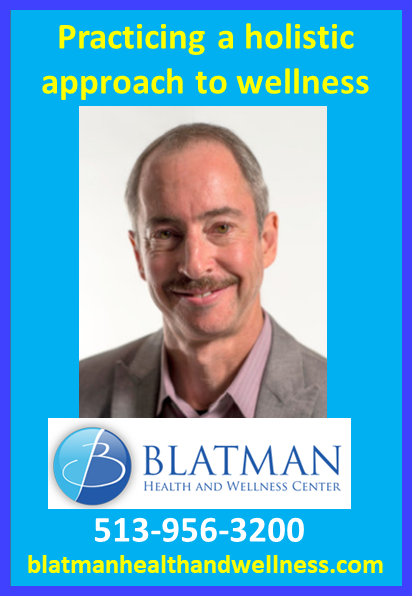 Letters of support provided by physicians with knowledge of the disease or condition. We addressed each requirement in exacting detail and share them with you below. Evidence supporting the use of medical marijuana to treat or alleviate the disease or condition, including journal articles, peer-reviewed studies, and other types of medical or scientific documentation. A while back we asked about marijuana's use to help with addiction to opiates. Below is important information you should be aware of. Also, OPN is working towards getting Opioid Use Disorder (opioid addiction) to be added to the list of qualifying conditions and OPN is requesting your help. Please see the very last paragraph in this website article. An extremely common complaint Ohio Patients Network (OPN) hears from Pain Clinic Patients is being removed or threatened due to a drug test detecting marijuana. Physicians may think they are violating the Medical Board Standards of Care set by the Medical Board Reference State Medical Board Chapter 4731-29 Pain Management Clinics if they allow/ignore the use of a schedule I substance such as marijuana. But an important note is that Ohio law does not consider “Medical Marijuana” to be Schedule I. The Ohio Medical Marijuana Control Program considers Medical Marijuana as Schedule II. As such OPN strongly advises Pain Clinic Patients to have a Medical Marijuana Recommendation. After much discussion and persuasion the Ohio Medical Board has finally published this fact in a newsletter to all physicians in Ohio. Below is an excerpt from the Board latest newsletter sent to all doctors; regarding Medical Marijuana and patients with these pain contracts. Will this affect chronic pain management contracts? It is up to the discretion of the physician if they will modify their patients’ pain contracts to allow for use of medical marijuana. If a patient is part of the program, the medical marijuana is considered Schedule II per Ohio’s law, House Bill 523. If a patient is NOT registered with the program and has NOT received a recommendation from an Ohio-certified physician any marijuana indicated on a drug screen could be illicit use. Essentially it is up to the doctor, but speaking frankly; using marijuana means using less opioids and thus less overdoses. So again, OPN strongly recommends all patients addicted to opiates (typically for some pain conditions) to obtain a Medical Marijuana Recommendation. Then they should press their doctor to have their Pain Contracts revised to eliminate the marijuana testing section. First, OPN has a developed an anonymous survey we ask you to take the survey, the link is listed below. We will use the results as part of the petition to the Ohio Medical Board. 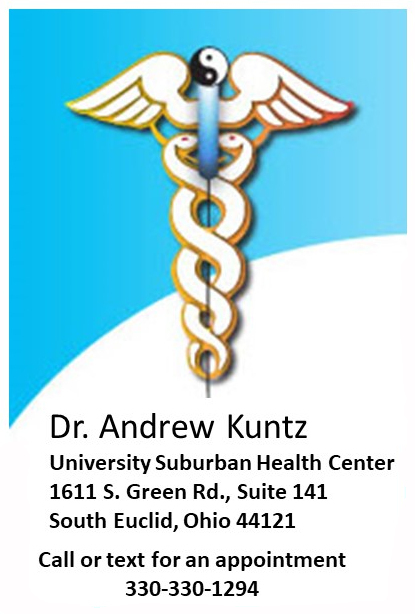 Secondly if you are seeing a doctor that agrees with your use of marijuana in your struggle with opiate addiction please have them send OPN a letter stating their support for adding Opioid Use Disorder/Opiate Addiction to Ohio Patient Network for submission to the Ohio Medical Board decision to add this as a qualifying condition for medical marijuana here in Ohio.